The Secret Tour of Disneyland was a DVD title that Jeff and George reviewed on Communicore Weekly a while ago. Here’s the retro-review of this really fun DVD! George: I’ve seen the ads on various websites for the Secret Tour of Disneyland and I always wondered how good it was. The weird thing is that I’ve never talked to anyone that had ordered it. Also, Jeff and I are East Coast and are true Walt Disney World fanboys. So, when they offered to send us review copies, I was very curious. Jeff: Aside from being a Walt Disney World guy, I’ve always harbored a love of Disneyland, even with only (gasp!) two trips out there (with a third to come soon, thank you kindly). [Editor’s Note: Jeff still lived in New Jersey when this review was written.] While I do have a wealth of knowledge about the vacation kingdom of the world, I do not know nearly as much about Disneyland. Sure, I know a lot, but not nearly as much as I wanted to. Being a huge Disney history nerd, the Secret Tour of Disneyland happily satisfied my every need. 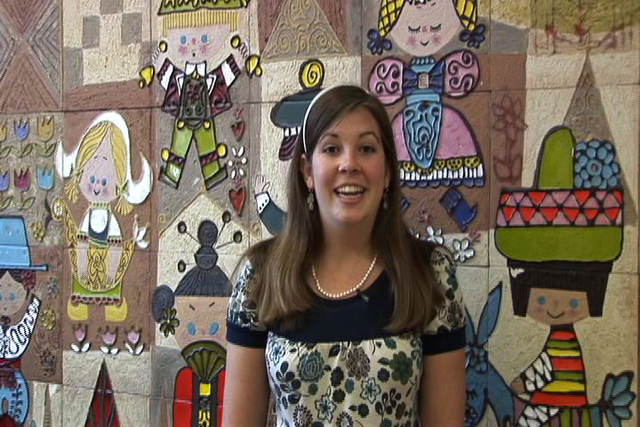 George: John Delmont is the producer and his daughter, Lauren is the host. 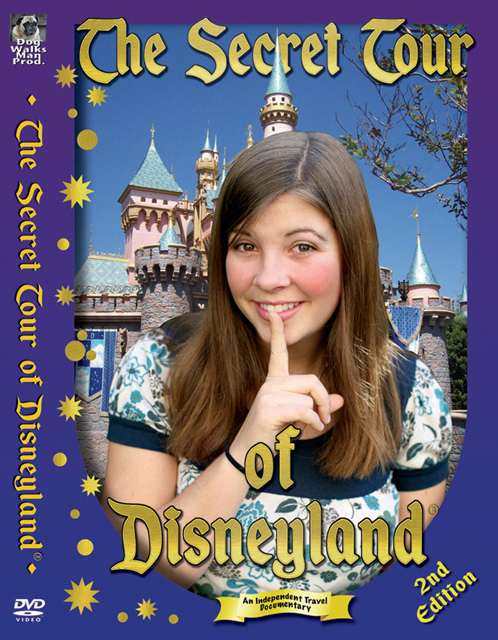 It’s a 2.5 hour dvd that takes you all over Disneyland (and a few places outside the park) to learn about some secrets of Disneyland. Lauren is a charming host and its quite obvious that they spent a lot of time in the park filming and putting the show together. Jeff: Right off the bat, I have to give credit to any “home brewed” production for getting the job done. The difference between this and other home-made projects is their very high production value. While they did it all themselves, it seriously looks more professional than most of the other DVDs I’ve seen like this. A lot of time, effort, and love went into this project. George: So, who’s going to like this DVD? Well, honestly, anyone that has been to Disneyland. 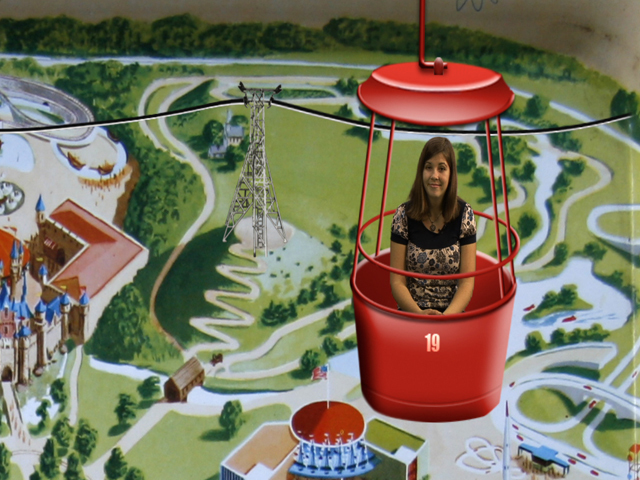 It’s a great DVD to sit and watch as a family and relive a lot of your favorite attractions. Everyone except the most diehard fans are going to learn something new about Disneyland. It felt a little slow at times (more for effect), so it might be easier to watch it over multiple viewings if there are younger kids watching. Overall, I thought it was a lot of fun and it was very charming. There quite a few things that I learned and it was great to see the Lilly Belle. Jeff: I would even venture to say that even if you ARE a diehard Disneyland fan, you’ll learn something new. John and Lauren managed to jam in a lot of information in the 2 and 1/2 hour running time, and I really think everyone will walk away with something new learned. Not only that, but Lauren, as a host, and John, with his editing skills, have made the information very presentable and easy to digest. Not that the material itself was boring to begin with, but hearing Lauren talk about things, and then actually show them off in the Park was pretty cool to see. On top of that, their various side trips to places around California, all dealing with Disneyland history, were great little asides to learn about. Have you seen The Secret Tour of Disneyland DVD? What’s your favorite secret about Disneyland?